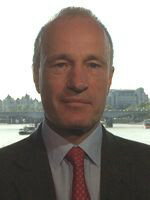 Charles Shoebridge is a former British army officer, Scotland Yard detective and counter terrorism intelligence officer. He is now a security analyst, lawyer, broadcaster and writer. Those relying on Western media could be forgiven for not having noticed that in the past two weeks a significant blow was struck against so-called Islamic State (IS). 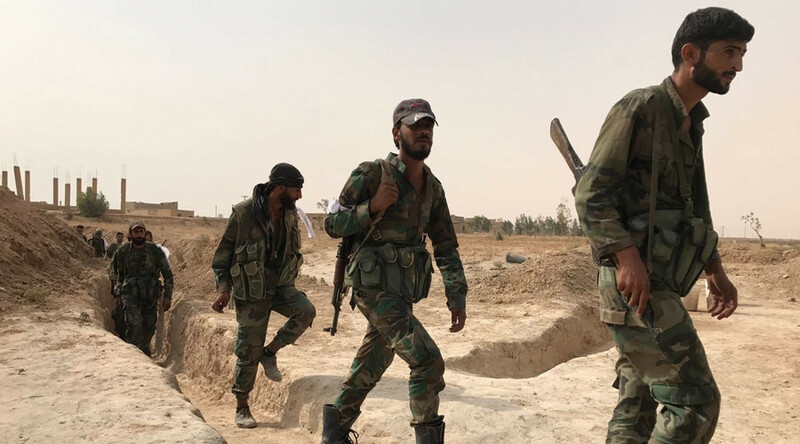 The Syrian army, supported by Russia and others, has ended the Islamist group’s brutal three-year siege of the eastern Syrian city of Deir ez-Zor. This relative lack of attention is consistent with coverage of the siege itself - barely mentioned by a US/UK media keen, in line with US/UK foreign policy, to portray the governments of Syria, Russia and Iran as the ‘bad guys’ in Syria and as enemies of the West, even when it is those same states that for years have been in the front line of fighting the very terrorist group now orchestrating and inspiring mass murder in the West. Regardless, the lifting of the siege is highly significant on a number of levels. From a humanitarian perspective, more than 100,000 people have been rescued from three years of living without functioning infrastructure, under constant fear of IS attack, and struggling to survive on basic supplies that came mainly from UN, Russian and Syrian government air drops. As well as further harming IS morale, the ending of the siege also offers the Syria army tangible tactical advantages, for example in terms of troop deployments and logistics, and as a support base for the consolidation of gains elsewhere. Already, follow-up operations are reportedly clearing IS from nearby towns and villages, securing ground to help ensure IS cannot return. Meanwhile, and again with Russian help, the Syrian army has now succeeded in crossing the Euphrates, a strategically important move which should allow the Syrian government to regain control of the al Omar oilfield - not only denying its significant oil revenues to IS, but also outmaneuvering the US, whose Syrian Democratic Forces (SDF) proxy has been racing against the Syrian government to seize territory east of the Euphrates currently occupied by IS. This development is vital to Syria’s sovereignty and future prosperity but poses a danger of US forces supporting the SDF clashing with Russian troops backing Syria’s government. The Russian government this week reported that Syrian forces had come under heavy fire from areas where American troops are based, while Russia has denied claims it recently attacked the SDF. Largely unmentioned by US/UK media, the US coalition is also accused of killing civilians, just as in Raqqa and elsewhere. Fears of a US/Russia clash are understandable, but shouldn’t be overstated. While some US-based (and often US arms industry-funded) politicians, think tanks and media appear to relish the prospect, neither the US or Russia want direct conflict in Syria, and both sides are renewing their deconfliction efforts to avoid it. The Kurds also probably understand their current US backing will likely prove a temporary marriage of convenience; the US has no desire to further alienate its NATO ally Turkey. There also appears to be a growing understanding within the US that its almost certainly unlawful physical presence in Syria is becoming increasingly pointless. Hence perhaps the recent closing of the US base at Zakaf, and reports of a similar planned withdrawal from its significant presence at al Tanf. The breaking of the siege, just as the liberation of Palmyra, is a powerful symbol of the determination and success of Russia in confronting Islamist terrorist groups such as IS, depriving them of physical safe space and killing large numbers in the process. 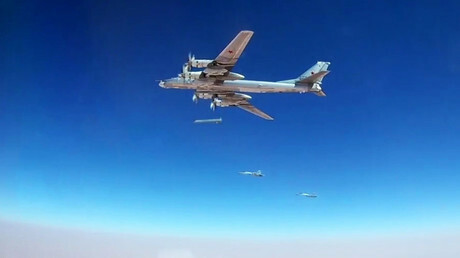 Of course, in doing so, Russia has had robust and reliable partners on the ground - Iran, Hezbollah and the Syrian armed forces who, along with the Kurds, and again largely unreported by much of the West’s media, have borne the brunt of the ground fighting against Islamist groups. Groups such as IS and Al-Nusra, unwittingly or otherwise, have long acted as proxies for US/UK policy. In Iraq, IS was considered by the US to be useful to place pressure on the Iran-friendly Maliki government. In Syria, mainly Islamist rebels were utilized to destabilize and destroy a state regarded by the US, UK and France, and crucially their Saudi, Turkish, Qatari and Israeli allies, as an enemy. Much the same happened with the overthrow of Gaddafi in Libya - and indeed elsewhere, such as Bosnia, Chechnya, and of course the US/UK arming of the mujahideen against the Soviet Union in Afghanistan. It’s in this context that seemingly contradictory elements of US policy perhaps make more sense. For example, for over a year after its strikes on IS purportedly began, the US failed to make any determined attempt to cut off one of its main sources of funding by attacking its oil smuggling routes. It was also at Deir ez-Zor in 2016 that around 100 Syrian soldiers were killed in a US-led airstrike that seemed timed to coincide with an attack by IS - an airstrike claimed by the US to have been an accident, but which a body of evidence suggests may have been otherwise. Close to al Tanf, the US has on several occasions attacked forces allied to the Syrian government, suggesting again that the US presence in Syria has less to do with fighting IS than with furthering broader US and Israeli geostrategic interests by attempting to contain the influence of Iran. 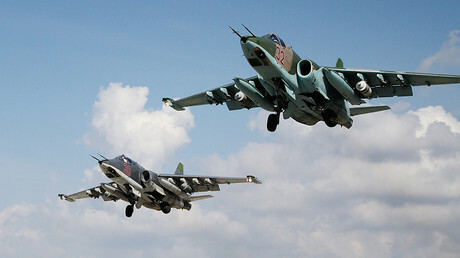 Similarly, many were mystified as to how US saturation air and satellite surveillance coverage of Syria somehow failed to spot or warn Russia of the columns of IS fighters heading across open desert to attack and re-take the city of Palmyra, just at the same time that US-backed rebels were under intense pressure from government forces in Aleppo. Meanwhile, throughout the Syrian war the CIA has been active in funding and arming so-called ‘moderate’ Syria rebels, despite surely from the outset knowing, given the nature of the Syrian conflict, that these weapons and funds would almost inevitably end up in the ‘wrong hands’ of the very same extremists that the US and UK, publicly at least, were claiming to oppose. Indeed, it’s an irony largely ignored in the West that the much vaunted US-led ‘anti-IS alliance’ includes key states that have done so much to support groups like IS and Al-Qaeda such as Saudi Arabia and Qatar, yet excludes states such as Russia, Syria, and Iran that have for years been the main force fighting them. Some may argue that US policies in effect helping such groups have been a success - after all, Syria, like Iraq and Libya, is now a devastated state that no longer poses a threat to a key priority of US regional policy: the security and interests of Israel. But ultimately, US policy in Syria has failed. For although challenges for Syria such as Idlib remain, the US and its allies have not toppled Assad’s government, nor achieved Syria’s permanent destruction or dismemberment. On the contrary, as a direct result of the armed rebellion that has cost some 400,000 lives, created millions of refugees and fostered a wave of international terrorism, and which the US and its allies backed and so helped prolong, the credibility and regional influence of Russia, Iran, and Hezbollah have grown. Within Syria, and also within the international process to de-escalate the conflict, the US is increasingly an observer rather than an important participant. Meanwhile, Syria’s government is now steadily re-establishing its authority and sovereignty, including over its energy resources. Peace and stability are returning to many areas, as are the civilians who fled from them, and Syria will certainly rebuild. Indeed, the defeat of one US proxy by Syria and its allies at Deir ez-Zor, and the outmaneuvering of another may well prove a major milestone on that still difficult road.